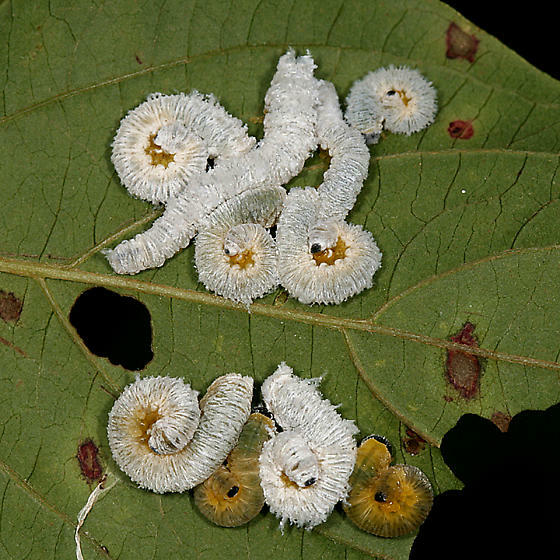 There were lots of these larvae on the underside of dogwood leaves at the edge of a river. Apparently there are three spp. of these that feed on Dogwood, so I'm putting them at the genus level. Thanks for the info Crystal. Now I know all the waxy white larvae aren't the same.